You will all be getting this a little late, but this was our tribute to Cinco de Mayo at our house. I made a poor attempt at homemade refried beans. And by poor attempt, I really mean that they stunk. The flavor was there, but I didn't get the right texture for this - so, what this means is that I will be trying them again. 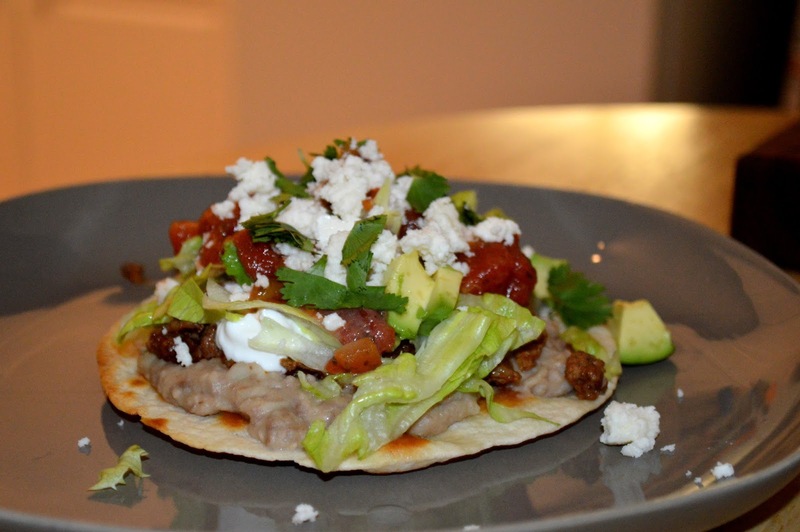 The purpose more so of this was to show a fun way that you can prepare your typical taco meat and sides, but how adding a little oven time for the tortillas, you create the crunch and add texture of a tostada. 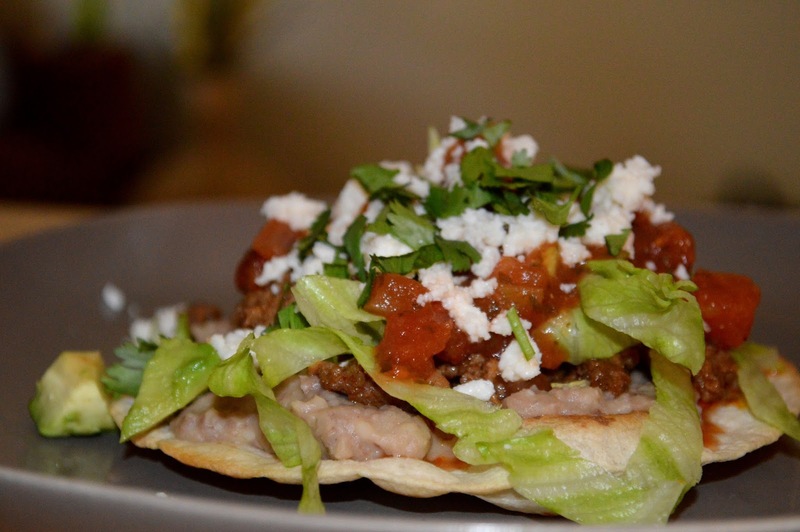 I should probably consult the experts before actually calling this a tostada because I believe those are typically made with corn tortillas instead of flour tortillas. My decision to use the flour ones was due to my playing to the taste buds of the family. Not a huge fan of the corn tortilla and if they didn't want it toasted, this was a better option. Either way you cut it, it was a fun way to liven up our standard taco night. Prepare the ground beef per the taco packet instructions. Heat the refried beans in a sauce pan over medium heat. While those are cooking, line a baking sheet with tortillas and brush them lightly on both sides with the oil. Place them in the oven for 3 minutes per side. Prepare all of the sides and line up for your taco bar. Once meat has cooked and tortillas are crispy, it is time for everyone to dish up.